Gold, turquoise, and pearl pendant, probably early twentieth century. 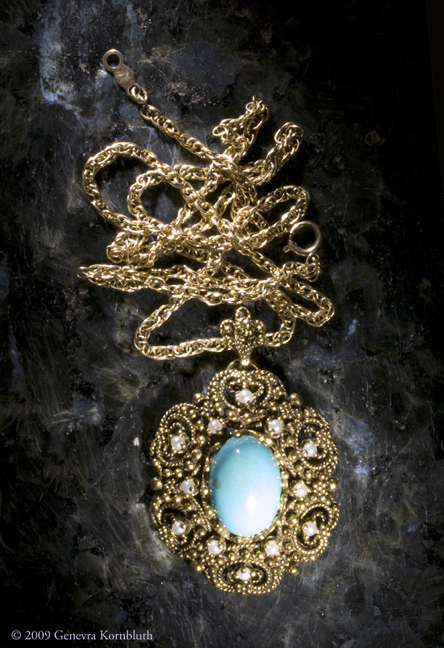 Details below document the color of the stone and the visual effect of the curved mount, the difference between the front and back (with clasp), the elaborate suspension fixture and floral pattern on the edge of the mount, and the translusence of the pearls. Private collection.